have a split table? Interested in a split Table cookbook? Does your family have members who have different diets where some members eat meat and some are vegetarian? I have a solution for you. 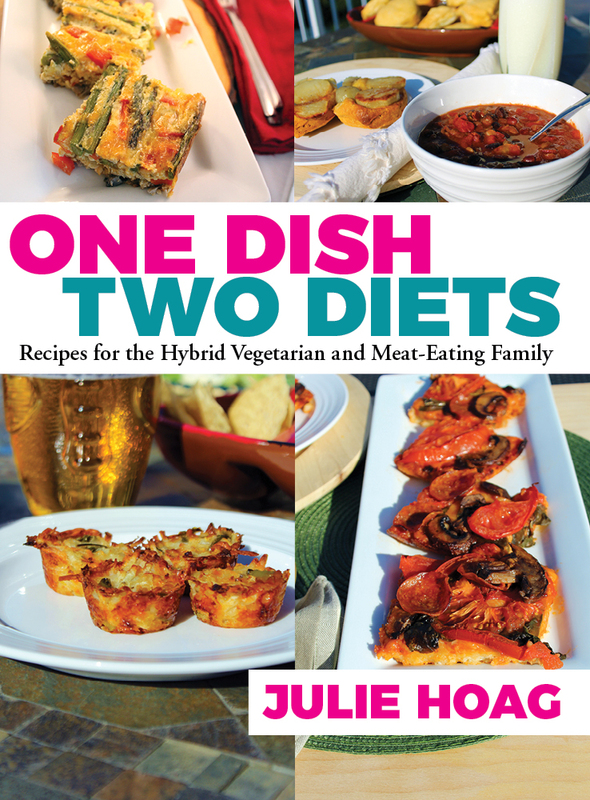 The recipes in this cookbook are hybrid meals consisting of both a vegetarian portion and a meat portion plus some VEGETARIAN recipes for breakfast, lunch, dinner, and appetizers. I've cooked this way for years for my own family and although it can be a challenge, IT IS POSSIBLE. My recipes and ideas will help you cook for all members of your family plus any vegetarian guests. Eat well and enjoy life! Learn more. affiliate link. Success! Check your inbox to recevie your free book. © Copyright 2019 Julie Hoag Writer. All rights reserved.